This is one jailbird you dont want to mess with, she's just escaped from cell block undead and is looking to wreak havoc at a fancy dress party! 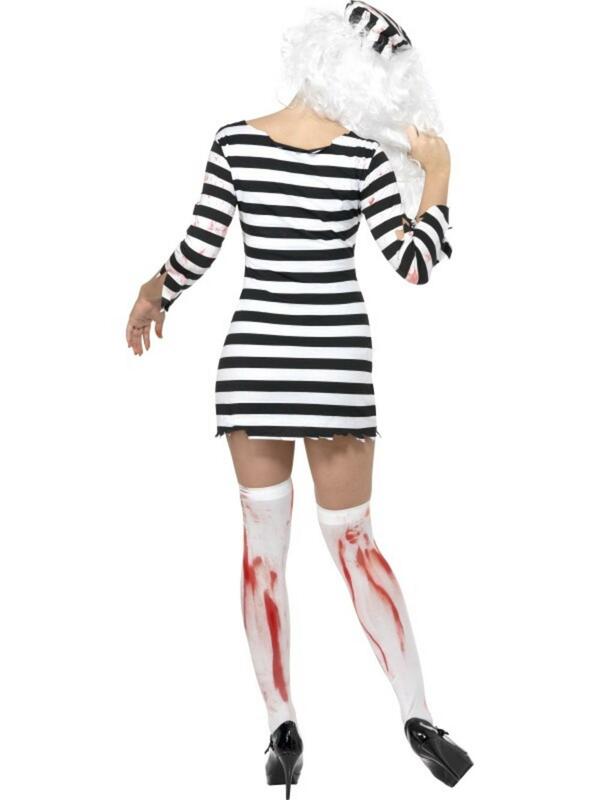 The costume contains everything for turning you into an escaped Zombie prisoner and comprises of a short black and white horiztonally striped dress torn at the hemline with a latex chest piece to give the illusion that you have an open wound and a black and white vertically striped hat. Both are covered in realistic fake blood blood to give you that realistic blood thirsty Zombie look. 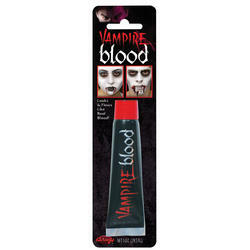 Perfect for making a huge impression at any Halloween party! Black and white vertically striped hat.